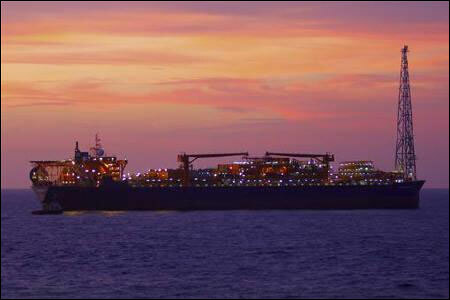 The government has slapped an additional penalty of $792 million on Reliance Industries for producing less than targeted natural gas from its eastern offshore KG-D6 block. A notice disallowing $792 million out of the cost already incurred on the Bay of Bengal fields was sent to RIL on November 14, an oil ministry official said here. With this, a total of $1.797 billion penalty in form of cost being disallowed, has been levied on RIL for producing less than targeted output during the past three years. The company has till date spent $10.76 billion on the block, which it can contractually recover from sale of oil and gas. It is obliged to share the profits with the government only after recouping those expenses. The official said the cost has been disallowed as RIL and its partners BP plc of UK and Canada's Niko Resources did not drill the committed number of wells, which led to output dropping by over 80% from the main Dhirubhai-1 and 3 (D1&D3) gas fields in the KG-D6 block. D1&D3 fields have in the first four years of production (2009-10 to 2012-13) produced a total of 1.853 Trillion cubic feet of gas, 1.196 Tcf short of 3.049 Tcf that RIL had committed to produce in the 2006 development plan. But for the first year, the output has lagged the targets in all subsequent years, which has led to a huge chunk of facilities built lying untilised, the official said. RIL had built facilities to handle 80 million standard cubic metres per day of gas from D1&D3 but the present output is just 8.78 mmscmd. As per the production sharing contract, RIL and its partners BP Plc and Niko Resources are allowed to deduct all of the capital and operating expenses from sale of gas before sharing profits with the government. Creation of excess or unutilised infrastructure impacts government's profit share and this is being sought to be corrected by disallowing part of the cost. According to the approved field development plan, the output should have reached 80 mmscmd last fiscal. The government had previously issued a notice to RIL disallowing $1.005 billion in cost for shortfall in production during 2010-11 and 2011-12. ($457 million for 2010-11 and the rest $548 million for 2011-12). The Mukesh Ambani-run company, which blamed unseen geological complexities for the fall in output, has initiated arbitration against the levy. The new levy would be opposed. The DGH blames RIL for not drilling its committed quota of wells for the fall in production that has resulted in a large chunk of production facilities lying unused or under-utilised.